Story opens in 2011 when despite a voting system designed not to produce a majority, the SNP, led by Alex Salmond, manage to do just that. They have the power to achieve their aims! Compromises with other parties are no longer necessary. Alex, a former economist, is a skilled and wily politician. He has promised a referendum on independence, but he knows this is a much more complicated matter than it would first appear. There is the matter of currency for a start. However, he also knows he won’t win because the majority in the country is against independence. He needs a blueprint for running an independent country. It has been their party policy for 80 years, but unfortunately no one has yet thought out the mechanics. However, that doesn’t matter because he will announce things as he thinks them up and rubbish anyone who contradicts him. Scroll forward to 2014. The previous three years have seen a slow movement towards independence. This is good news. The narrower the defeat the better. Alex,keeps to his plan. The Homecoming, the Commonwealth Games don’t cause as much movement as hoped, but they have plans to woo disaffected Labour voters with talk of universal social justice and nuclear disarmament. By late August, the gap is really narrow. Alex is extremely pleased as this gives him huge bargaining powers after the No vote. Devo Max is a certainty and there are no economic consequences for him to deal with. He will remain the people’s champion. In early September, two weeks out from polling day disaster strikes. YES is ahead! As an economist, understands how currencies, businesses and investments work in the real world. He is unbelievably worried he might now have to preside over the lack of investment, the haemorrhaging of money and businesses to England, the brain drain, the loss of medical research facilities, the costs of setting up all the embassies and a DVLA and a passport office all sorts of other things that he has promised and will not have the funds to deliver. But, to the First Minister’s relief, the UK parties promise big discussions about all sorts of new powers to happen immediately after a NO vote. This is what he has wanted all along. Now he only has to work out how to cause 5% of the population to change their mind. He gets Christine Grahame, one of his loyal MSPs, to make a ridiculous statement that the wobble in the pound following the opinion poll was not due to the threat of Independence but was the fault of President Obama. He knows people don’t like it when he is smug and patronising, so he starts to be just these things in radio and TV interviews. Scenario 1: A few gaffes, a few leaked documents saying that there are doubts about how, as a government, they will cope with economic fall-out which will, of course, be denied but the seeds of doubt will be sown. A narrow defeat by 2 percentage points is achieved. The First Minister is still the hero of the people and he promises next time, they will succeed. Scenario 2: Unfortunately Alex has miscalculated. The genie is out of the bottle and cannot be put back in. Those whose hearts he has won with talk of social justice and a nuclear-free society where everyone learns to play a musical instrument, hate the rest of the UK and its politicians so much that none of them are willing to be swayed towards NO. A narrow victory for YES results and the First Minister’s political career like most political careers, ends in disaster several months on when the realities are finally understood by the electorate. You choose the ending which appeals to you most. 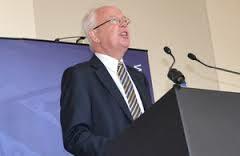 On Wednesday evening the Church of Scotland held a ‘Respectful Dialogue’ . I reproduce Jim Wallace’s speech advocating the benefits of remaining within the UK. If the references to Christianity are not your thing, please try to keep reading to the end. I very much welcome this opportunity to discuss the issues raised by the most important political decision of our lifetimes, which takes place in just over two weeks’ time… and to do so in a measured and respectful way. It was once said of Disraeli, that he could live with Gladstone producing the ace of trumps from up his sleeve; he just couldn’t abide Gladstone’s presumptuousness that it was God who had put it there. There is a salutary lesson there for all engaged in political debate or dialogue. I respect the many people of faith who have come to an opposite conclusion from me on the referendum issue. And I welcome the Kirk’s neutral stance on the issue, which allows a dialogue, such as this, to be facilitated, as well as enabling it to play a role of reconciliation in the aftermath of the vote. I don’t intend to get bogged down in some of the more familiar ripostes, claims and counter-claims of the debate. Nor do I intend to make much reference to figures and pounds – although you can’t wholly ignore them, if the commonwealth of the people is a key concern. Tonight is an opportunity to express a very personal view. I was brought up in a Christian family, where Christian values were unashamedly promoted. Undoubtedly, my Christian commitment has marched hand in hand with a political commitment. My Christian beliefs motivate a thirst for social justice, an urgent concern for the stewardship of God’s creation; and respect for the innate dignity of every individual who, as I try to remember, is made in the image of God. Indeed it is the quest to champion the freedom, dignity and well-being of individuals –whatever their creed, colour, nationality, gender, sexual orientation – that led me to espouse liberal politics. And in the context of this referendum debate, it is a belief that the state exists to serve the individual and not individuals to serve the state. The state or nation is not, for me, the defining political entity. That is why I am not a nationalist. And if government is there to serve the people, it makes sense to look where government can work most effectively to deliver on behalf of the people. That is why I long campaigned for a strong Scottish Parliament within a United Kingdom – as well as recognising the merit of some decisions being taken at a European level and the need to breathe new life into local democracy across Scotland. I sometimes think that the existence of a strong Scottish Parliament has been the forgotten dimension in this debate. I campaigned for it; worked for it in the Constitutional Convention and had the privilege of being in that first democratically elected Scottish Parliament and Government. The powers of the Parliament give us the means to deliver the kind of social change and reforms suited to Scotland needs and aspirations. It is through the exercise of these powers that we can support individuals and families, help businesses and build a fairer society – aspiring to realise the vision which congregations identified in ‘Imagining Scotland’s Future’. In fifteen years, we have overhauled mental health legislation, given communities the right to buy land and individuals the right to responsible access over land; established National Parks; introduced free bus travel for older people, free eye and dental checks and the abolition of tuition fees, to name but a few. Perhaps most significantly, particularly in public health terms was the ban on smoking in public places. We blazed the trail and the rest of Britain followed. We have a dynamic settlement. For example, power was extended to run our railways and to develop our renewable energy resources. The 2012 Scotland Act increases significantly powers of taxation and borrowing. Yes, it can be improved. But devolution has given us the power to design Scottish solutions to the unique circumstances we face – and to do so whilst benefitting from the strength and stability that we take from being part of the UK: security in defence; security for our pensioners; sharing risk among a population of over 60 million; the economic security and stability from being part of the world’s most successful political and monetary union. As well as benefitting and contributing to a social union. “Because the whole point of a welfare state is that people’s individual circumstances determine their entitlements, it’s not their geography that matters, but their age, or health status, or unemployment. In this referendum debate, we have heard many claims that an independent Scotland would somehow be more socially just. That Scotland should have different – and inevitably – so the claim goes -better – social entitlements from England. I believe there are two substantial flaws with this argument – a practical financial one and a moral one. On the financial side, the referendum debate has been dominated by arguments about whether Scotland would be more or less wealthy. Some people tell the pollsters that they would change their vote depending on whether they were 500 pounds a year better or worse off. Even if not literally true, it suggests that money matters. Those on my side of the argument rightly and fairly point to the economic risks of independence, be it in terms of trade, or public spending. Independent analysts say these are very real. But for the moment, let us accept – which I don’t – that Scotland would be better off in the longer term; transitional pain and disruption is inevitable. And I’m in little doubt that it is the less well-off who would feel the effects of that. Those of us who are concerned about the poor should therefore be very concerned about economic disruption. But in addition to the practical financial consequences, I believe there is a straightforward moral argument which goes to the heart of the idea of a social union. To withdraw from the common welfare provision, which we’ve created in these islands, you have to believe that people in Glasgow, for example, are more deserving of our common support than people in Gateshead or Glamorgan. And that if we have resources, we keep them for ourselves rather than pool them and contribute to their pensions or benefits. That is the shared British commitment within which the Scottish Parliament has full power (and has had since 1999) to determine how the service is delivered. 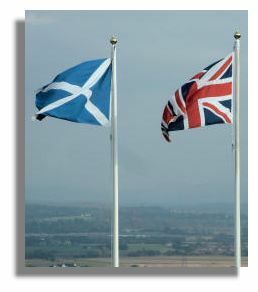 A further example of how our current settlement does deliver the best of both worlds: full power and flexibility to devise Scottish solutions for Scottish circumstances and affirming our social solidarity; rather than limiting our social concern and putting at risk our citizen’s social rights through the constitutional and financial consequences of a smaller separate state. There is one further reflection I’d like to share and it is that of the UK as a force for good in the world. But before developing that theme, let me address the argument that getting rid of Trident is a compelling reason for voting ‘Yes’. When espoused by friends whom I respect, it should give pause for thought. But what I can’t fathom is how the removal of nuclear warheads and submarines several hundred miles down the coast on the same land mass makes the world, in any respect, a safer place? Nuclear relocation is not nuclear disarmament – nor even nuclear reduction. There will not be one single nuclear warhead less as a result. The reduction in warheads achieved under the last Labour Government, and continued in the present UK government’s Strategic Defence & Security Review could only continue in future, without those of us in Scotland, who do care about disarmament issues having a voice in government nor even a choice at the ballot box. Nor would we any longer be the second largest donor of international aid in the world (aid administered from East Kilbride in Scotland). By 2015, the UK Department will have helped immunise 55 million children against preventable disease, helped to save the lives of 50,000 women in childbirth and a quarter of a million new-born babies. 60 million people will have access to clean, safe water, thanks to the UK. Together we campaigned against slavery in the eighteenth century; and drafted the European Convention on Human Rights in the 1950s. In very recent times the UK’s “Preventing Sexual Violence Initiative” –was the core theme of our presidency of the G8 in 2013 – leading to a new UN Security Council Resolution and UN General Assembly Declaration on sexual violence within conflict; and as a United Kingdom, we were one of the foremost nations promoting the UN Arms Trade Treaty which was finally adopted last year. I don’t doubt that Scotland, from outside the UK, would seek to play a small part in these endeavours. But it would be small – and we should not underestimate the extent to which the remaining UK’s ability to promote justice in the world would be diminished. So pause, and think of islands and peninsulas around the world, scarred by years of division; whilst here, over the last 300 years, we have built a great democracy together, based on a culture of human rights and the rule of law. We have built the NHS and the Welfare State. We have resisted invasion and conquest, nor did we fall for the totalitarian ideologies which blighted the last century. And yet among those achievements, England still exists, Scotland still exists. We have each retained our identities – in Scotland we retain our legal and religious institutions, and our international profile. We have evolved, and will continue to develop, a system of governance in which we have the best of both worlds. That is surely something worth campaigning for. 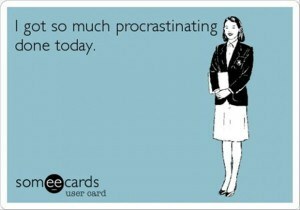 Doesn’t time fly when one is procrastinating? I should know. I have been doing so for over a year. With two novels down, the time to start writing the third has never been quite right, what with ironing to do and cupboards to tidy and other important things like that. Then when on occasion I run out of tasks and have to turn my minds to things literary there are so many things to consider. Thinking about plot involves wasting water as I turn over possibilities in the shower, then many fruitless hours can be spent on the internet in the name of research and updating Facebook. Then I have to decide where in the story I am going to start. Try the beginning I hear you say, but it is not always that obvious. Perhaps starting in the middle could be better, or perhaps the end and have it all in flashback. The problem is that this novel does not yet have a publisher so there is no deadline. Disaster for a procrastinator because anything but writing will always take priority over the three chapters and a synopsis which are needed by my agent in order to create a bidding war for this literary masterpiece. However, I have been given a kick start. I had to write a short story for Write Stuff in the Scotsman. I had a deadline. I had to sit down and create something in under three weeks and I managed it. It appears in print on Saturday, It has shown me that I can do it if I have to. It’s the 25th of January again and I am off out tonight to eat haggis and Reply to the Toast to the Lasses.I am not what Burns would have described as a lass. He liked his female companions to be wanton,voluptuous and bowled over by his charms. I am old enough and wise enough to be none of these. A new hip is in order. You’ve really gone to seed. Rocks melted not by sun. Tho’ sands of time have run. Buckingham Palace? Been There, Done That! Last evening, as members of a cast of many hundreds, we attended Her Majesty’s Diplomatic Reception at Buckingham Palace. Held in place by much elastic underwear, (and no liquid intake since 2.30pm) I was hooked into Granny’s black velvet without the aged fabric disintegrating. Velvet pumps blinged up with butchered earrings from M &Co, black satin elbow gloves a la Cruella De Vil and the diamonds belonging to the aforementioned Granny, completed the ensemble. He was kitted out in white tie and tails. The Queen, The Duke of Edinburgh and the Duke and Duchess of Rothesay and Cornwall made their way up the diplomatic line while the goats, none of whom were to be presented, indulged in conversation. Amongst other things, I learnt that The Archbishop of Canterbury (must be difficult for his wife to compete with the finery) is a fan of Ron Ferguson and that St James’ Palace has the best car-parking in London. Hand shaking and curtseying completed, the assembled hoards made their way to the Ballroom for Supper. My late father had always been concerned that my table manners would let me down on such an occasion, but he could rest easy, as I was given only a fork to go with the plate with clip-on wine glass. Perched on an upholstered bench eating some sort of chicken pie, it had echoes of a TV dinner with the programme being one’s fellow guests. There were ladies in tiaras, presumably part of the hereditary system connected to the Royal Household (the headgear had certainly not come from Claire’s Accessories), there were men with medals and sashes, there were African colours and Oriental silks, some of which were not suitable for London in December. (The lady with the thick socks and flip flops being a case in point). After the profiteroles, it was time to cruise around the room and indulge in more chitchat before music from the Royal Air Force band drew us into a side room where there was dancing. Unable to resist, we had one turn around the room before making our way down the stairs to the waiting Addison Lee coach. Normal life has now been resumed.